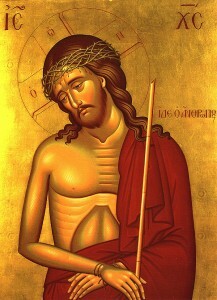 On Monday, February 19, we begin the holy season of Great Lent. It is a very valuable season of the Church Year and the appointed time for our spiritual renewal. In truth, it is a Gift from God. 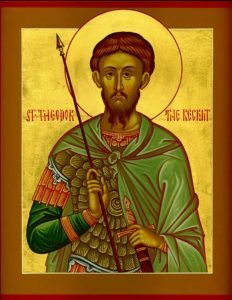 Great Lent is an excellent time to put aside all those things that make us displeasing to ourselves, to others and to God. Someone once suggested an item called a spiritual wastebasket. 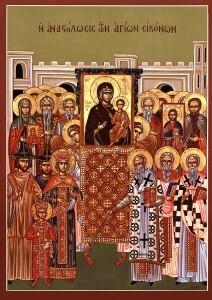 Forty days after Christ was born, He was presented to God in the Jerusalem Temple according to the Mosaic Law. At this time as well, His mother underwent the ritual purification and offered the sacrifices as prescribed in the Law. 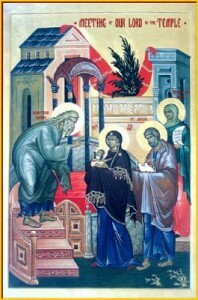 The, forty days after Christmas, the Church celebrates the Feast of the Presentation called the MEETING (or Presentation or Reception) of the Lord. St. Elia Spirit Wear Sale: Time is running out! 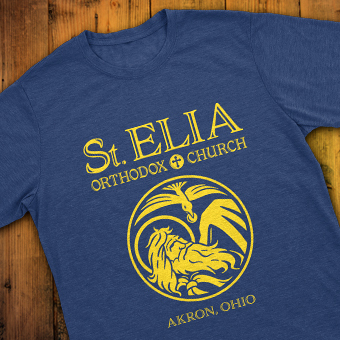 Time is running out to order your St. Elia T-shirts and hoodies! If you’d like to place an order, please click here to download the order form and mail it to us or drop it off at church by September 24. Items are expected to arrive in mid-October. Don’t miss out!